The ‘Capital of Silicon Valley’, San Jose is the largest city in Northern California and the third most populous city in the entire state. It’s a global city that’s known for its innovation, weather and affluence, as well as its high cost of living. For visitors, the city is filled with beautiful architecture, museums, landmarks and great cuisine. San Jose sits in the centre of the Santa Clara Valley along the southern shore of San Francisco Bay. It also has around 6,455 hectare of parkland, a 100 kilometre network of trails and some great wildlife. There are also some great lakes both in the city itself and close by that make for a great escape from city life. 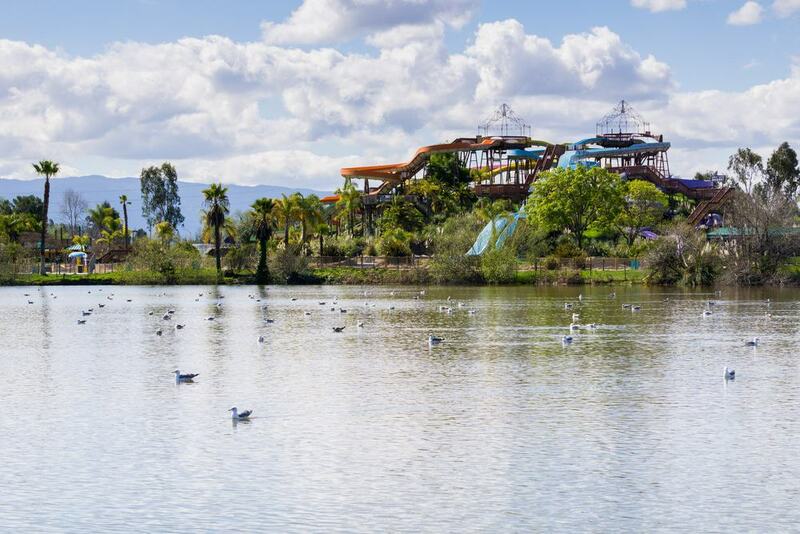 Here are our picks for the 15 best lakes in San Jose. 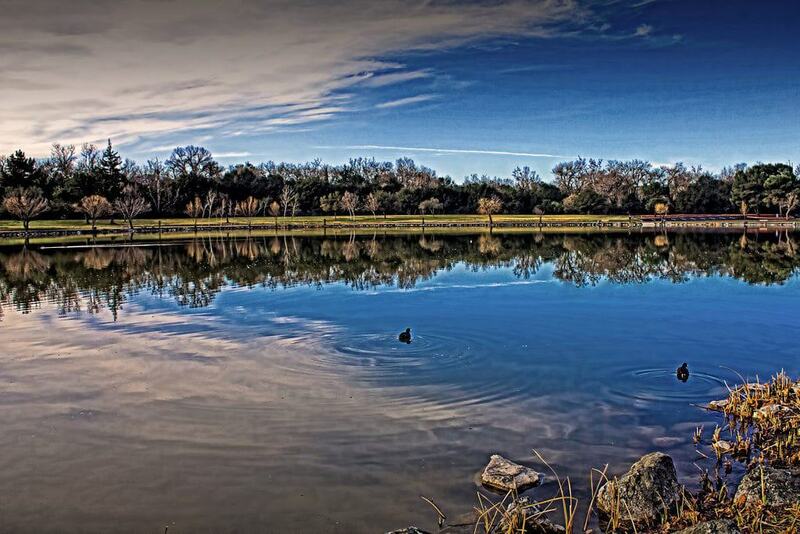 This artificial lake sits within the Lake Cunningham Park in East San Jose. The lake and park are named after James F. Cunningham; the man who owned the land before the city built the lake for flood relief. Unfortunately, the water quality in the lake is quite bad, so it’s currently not possible to enter it even by boat. Still, there is much to do in the park, like picnicking, rollerblading, horseshoes, volleyball and other land-based sports. Lake Cunningham Action Sports Park and Lake Cunningham Native Garden can be found along the lake’s east shoreline, while Raging Waters San Jose is on the west. There are also hiking trails both around the lake and in the hills above it. Cottonwood Lake is located in the Hellyer County Park just off of US-101 in South San Jose. The lake is not big, but it offers good fishing. The park surrounding the lake has much to offer, making spending a day here very easy. It boasts a new thrilling playground, complete with bridges, swings, a climbing course and a water area with waterfalls, sprinklers and a splash pad. The 24 kilometre multi use Coyote Creek Trail passes along the west side of Cottonwood Lake, though there is also a trail that encircles it. There also happens to be three disc golf courses just southeast of the lake. Anderson Lake is not actually in San Jose itself, although it sits right at its southeast border in foothills of the Diablo Mountains. The 514 hectare lake sits at an elevation of 191 metres above sea level and is one of the most stunning lakes in the city. Boating, water-skiing and jet-skiing are popular activities that are enjoyed here, although check beforehand to make sure that the water level is high enough. If not, visitors can still enjoy hiking, cycling, horseback riding and jogging in Anderson Lake County Park, which encircles most of the lake. There are numerous trails on the west side of the lake that offer mesmerising views of it and the mountains. At the southeast tip of Anderson Lake is the Woodchoppers Flat Picnic Area. 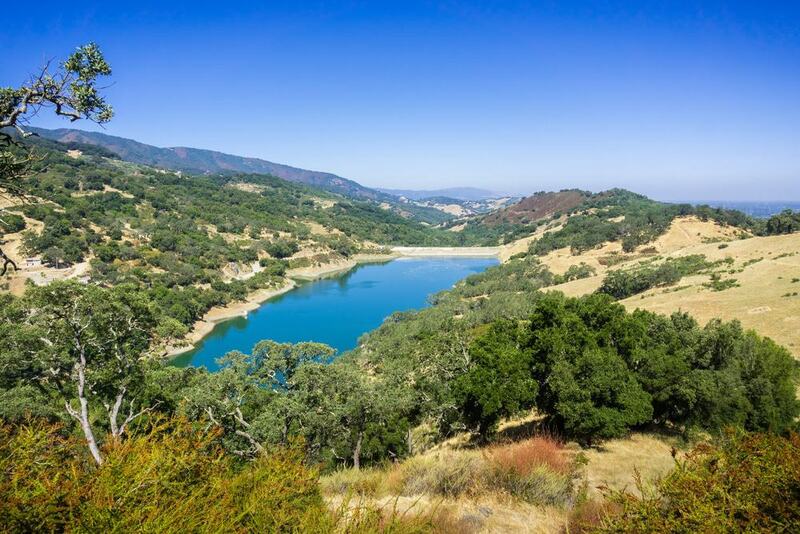 This 182 hectare artificial lake can be found less than 30-minutes south of San Jose’s city centre in the foothills of the Santa Cruz Mountains. The lake is part of the Lexington Reservoir County Park, so in addition to supplying water to the area, it’s also used for recreational purposes. Rowing, boating and fishing are popular, and there is a boat launch along the east side of the lake. Lexington Reservoirs also happens to be home to the Los Gatos Rowing Club. There are six hiking trails that lead from the lake in all directions, including the Limekiln Trail, Priest Rock Trail and Los Gatos Creek Trail. Picnic areas can be found at the northeast side of the lake and are on a first–come, first-serve basis, so be sure to arrive early to snag one. This San Jose lake is at the very south end of the city in the Santa Teresa Hills. The 141 hectare lake is surrounded by a 1,809 hectare county park, which combined offer plenty to do. The lake was formed by the Calero Dam in 1935 and happens to be the fourth largest reservoir in the area. It captures water that runs off of the foothills and provides water to county residents. 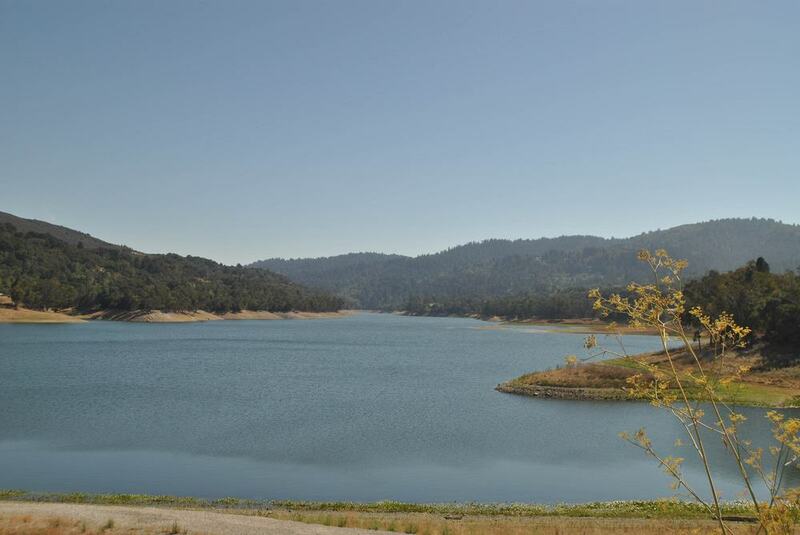 Calero Reservoir also offers plenty of activities, including sailing, boating, fishing, water-skiing and jet-skiing. Plus, the surrounding park gives visitors access to 30 kilometres of hiking and equestrian trails. Sitting just on the southern edge of San Jose, Guadalupe Reservoir is a tranquil lake, as it’s completely surrounded by greenery. In fact, it lies in the Almaden Quicksilver County Park. Fishing is permitted in the 30 hectare lake, but there’s a catch and release policy, as it’s unsafe to actually eat the fish. No watercraft of any kind is permitted in the lake, nor is swimming. The main reason that visitors come to Guadalupe Reservoir is for the scenery and the park, which happens to boast nearly 60 kilometres of hiking trails. It’s also possible to go horseback riding, cycling and picnicking. Almaden Reservoir can be found just south of the Almaden Quicksilver County Park along the Herbert Creek. The lake was created by the earthen Almaden Dam in 1936. It’s a small lake at just 25 hectare, and is one of the smallest of 10 reservoirs owned by the Santa Clara Valley Water District. Still, it supplies the area with around four per cent of its water. 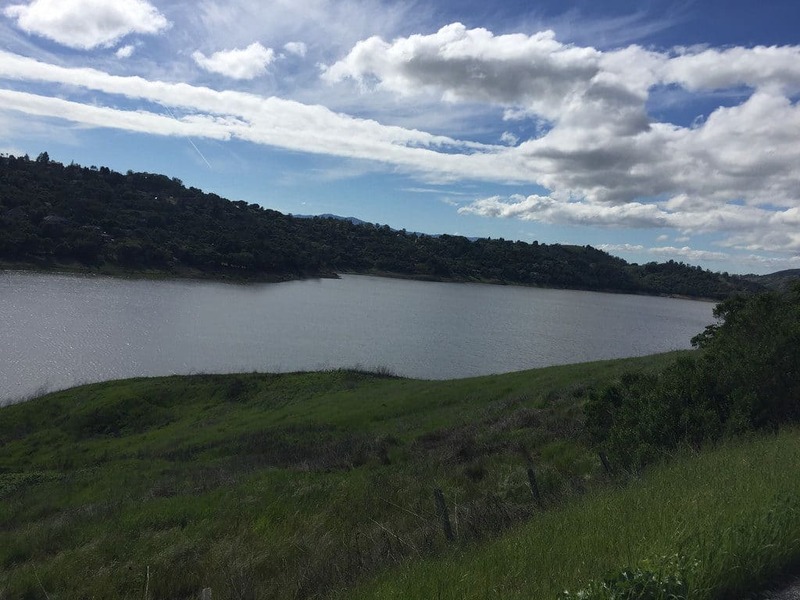 Like Guadalupe Reservoir, Almaden Reservoir has a catch and release program, and entering the lake is prohibited. There are picnic tables close to the lake’s shoreline, with its neighbouring Almaden Quicksilver County Park being filled with hiking, cycling and equestrian trails. This 3,518 hectare lake sits in the foothills of the Santa Cruz Mountains just west of the city near the city of Cupertino. 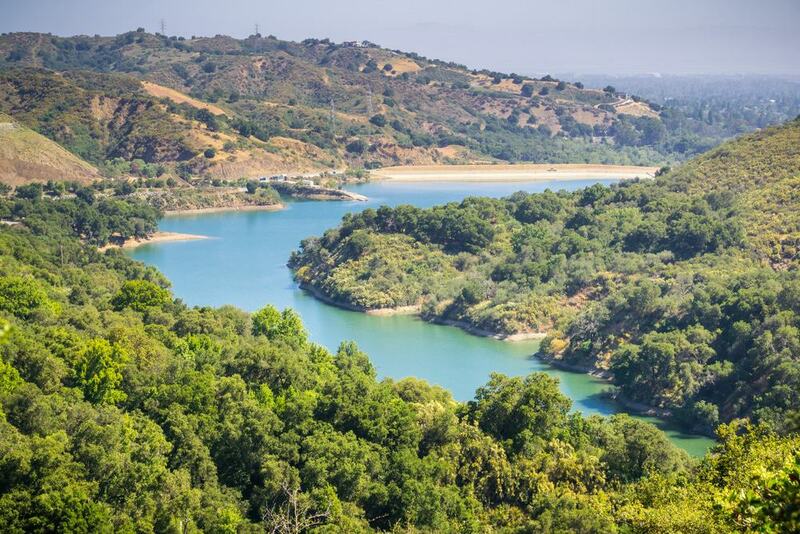 Stevens Creek Reservoir is surrounded by a 430 hectare county park that offers plenty of recreational activities. Stevens Creek Reservoir is a popular place to fish for koi, bluegill, largemouth bass, Asian carp and crappie, although it’s strictly catch and release. Non-power boats are allowed on the lake and can easily enjoy and snap photos of the views of the mountains. There are over 14 kilometres of multi-use trails in the Stevens Creek County Park, as well as some great mountain biking. The Lakeshore Picnic area is a tranquil picnic spot, with tables being available on a first-come, first-served basis. 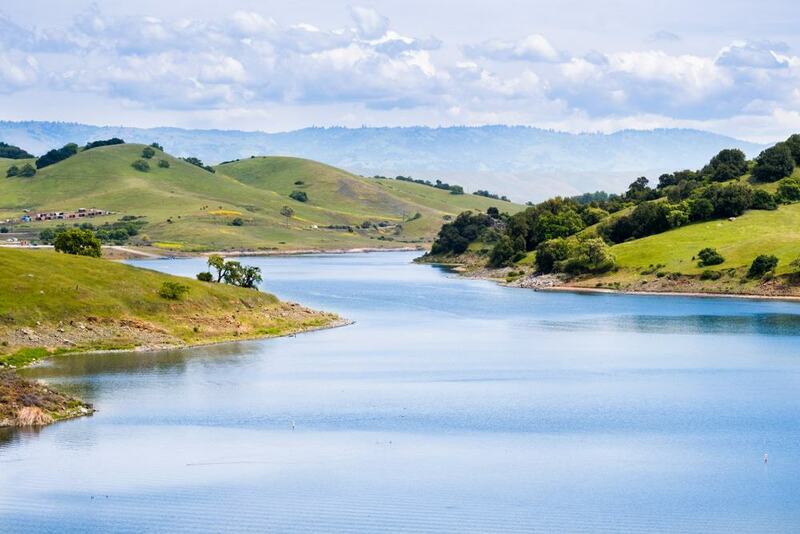 Located just north of San Jose, Calaveras Reservoir sits in the Calaveras Valley near the Sunol Regional Wilderness area. The lake is in a former agriculture area, but became a reservoir due to an increasing demand for drinking water in the area. Today, the lake’s water is no longer used for drinking, but by ranchers to control fires. However, the lake and its surroundings is most popular amongst visitors for its wildlife. Coyotes, deer, turkey vultures, red-tailed hawks, red-winged blackbirds and purple martins, amongst others can regularly be spotted here. It’s also possible to spot the pair of bald eagles that have called the lake and the valley home since 2008. Part of the scenic Chesbro Reservoir County Park, this artificial lake is just northeast of San Jose in the city of Morgan Hill. 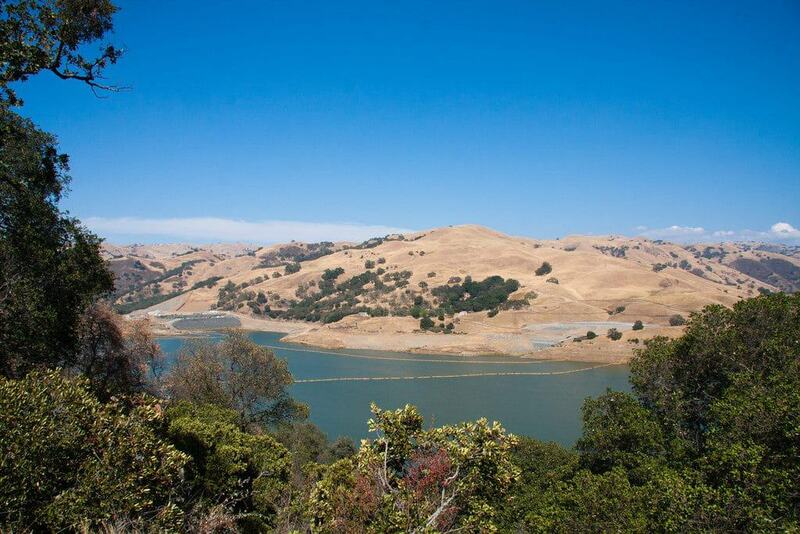 The 133 hectare lake was created in 1955 by the construction of the Elmer J. Chesbro Dam. Chesbro Reservoir itself does not offer much in terms of activities, but its surrounding park does. Instead, people come to just admire the scenery from its shoreline or while enjoying a picnic. 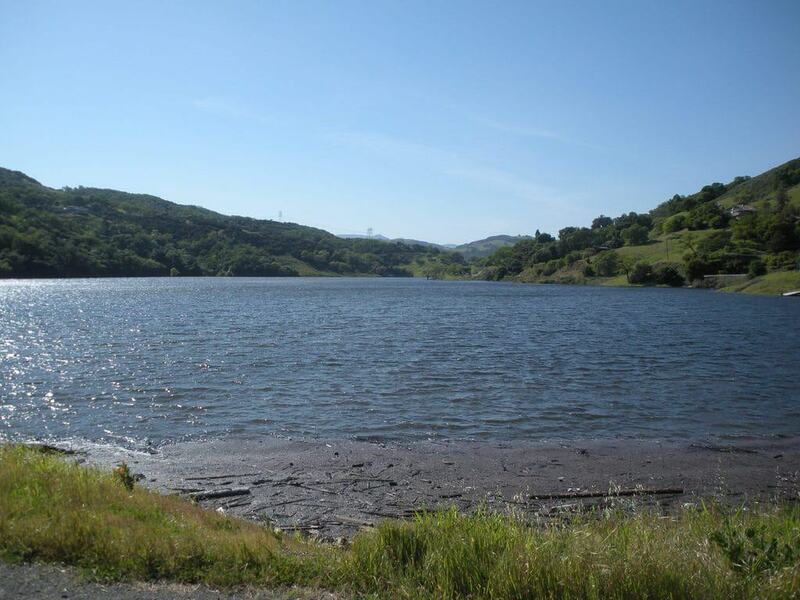 Chesbro Reservoir County Park is a good place to go hiking, though there are no marked trails. This means that only experienced hikers should attempt to explore it. 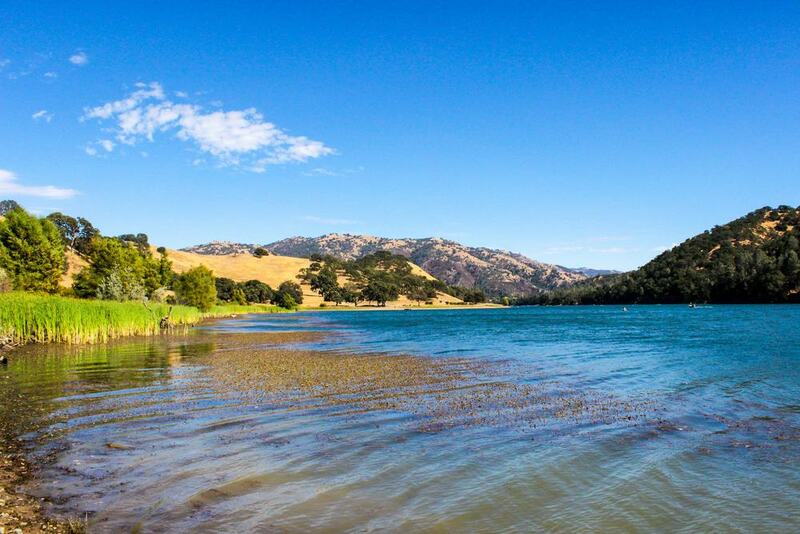 It’s well worth making the 50 kilometre journey northeast of San Jose to Lake Del Valle in the city of Livermore. 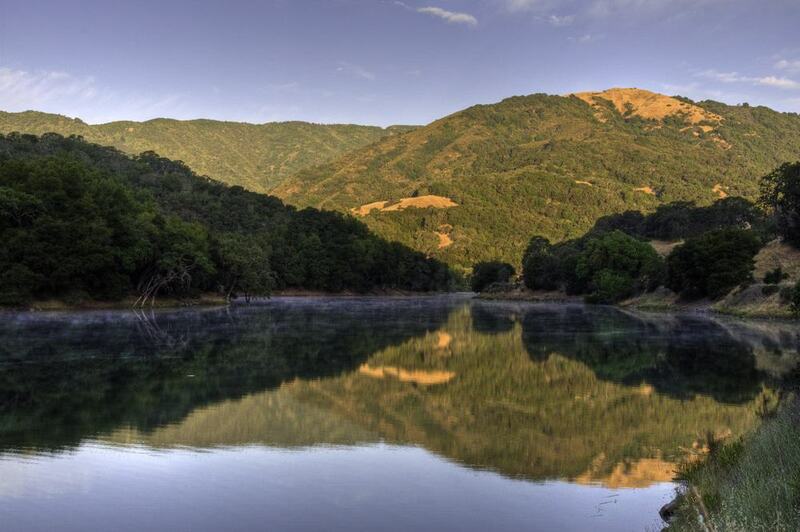 The 287 hectare lake is part of the Del Valle Regional Park, which is made up of beautiful rolling hills. The lake features a 26 kilometre shoreline that is lined with camping areas and a marina, as well as designated swimming areas complete with lifeguards. The lake is also a popular spot for boating, windsurfing and fishing. Visitors that wish to enjoy the Del Valle Regional Park can go horseback riding, picnicking or hiking. In fact, there are over 45 kilometres of trails that range in elevation from 150 to 460 metres above sea level. This is actually a pair of lakes that are located around 45 minutes northwest of the city in the northern Santa Cruz Mountains. The lakes get their water from local precipitation as well as from a pipe connected them to the Hetch Hetchy Reservoir in Yosemite National Park. 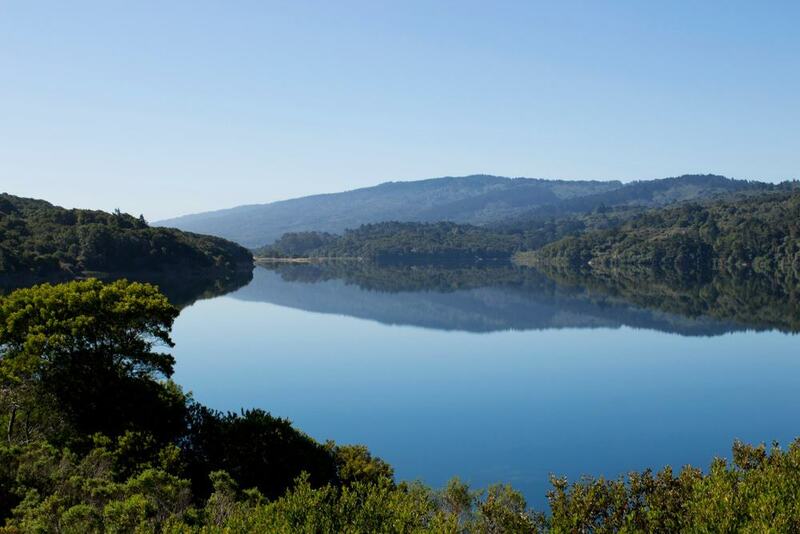 Crystal Springs Reservoir is known for its incredible bio diverse flora and fauna, attracting nature lovers from all over the world. Species found here include the endangered San Mateo Thornmint, Marin Dwarf Flax and San Mateo Woolly Sunflower. Most people come here for the amazing surrounding nature and to hike along the Crystal Springs Regional Trail. The trail is separated into three segments and is not only great for hiking, but also jogging, cycling and horseback riding. Loch Lomond was created by the damming of the Newell Creek in the Santa Cruz Mountains. The 71 hectare reservoir provides some of the drinking water for the city of Santa Cruz, as well as offering recreational activities. Boating and fishing can be enjoyed here, but swimming is prohibited. The lake’s surrounding Loch Lomond Recreation Area has picnic areas and charcoal pits, as well as a boat ramp. 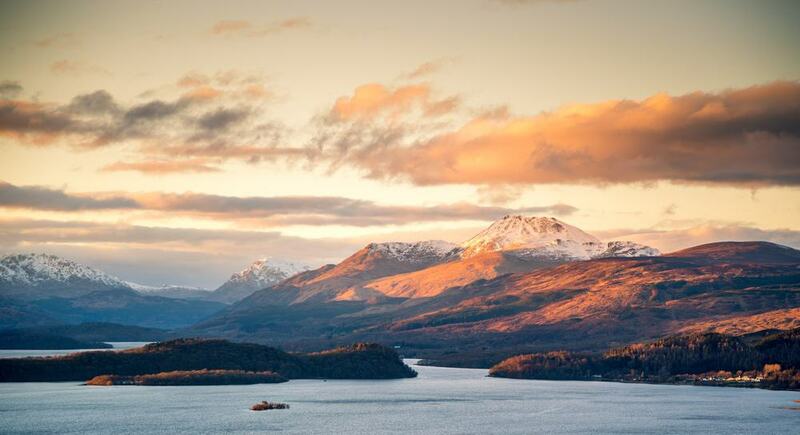 There are hiking trails on the east side of Loch Lomond that very in distance and terrain, all of which are offer panoramic views of the lake and the mountains. 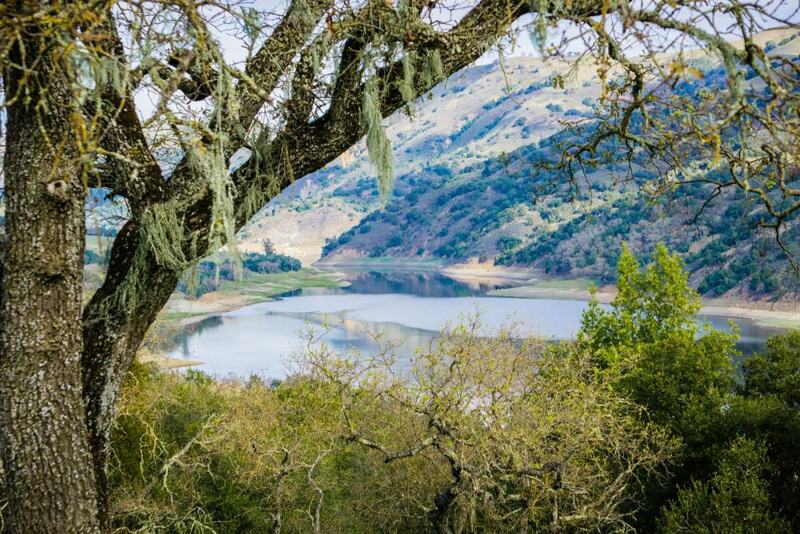 Located in the 2,279 hectare Coyote Lake Harvey Bear Ranch County Park is the 182 hectare Coyote Lake. The lake is easily accessible from San Jose by driving south along US-101 for around 50 kilometres. The artificial lake was created by the building of the Coyote Dam and happens to be the second largest reservoir owned by the Santa Clara Valley Water District. In addition to providing water, Coyote Lake is used for recreation. Water skiing, jet skiing, power boating, sailing, canoeing and kayaking can all be enjoyed here, although swimming is prohibited. The surrounding county park features camping sites, hiking trails, picnic areas and Saturday evening campfire programs. Northwest of San Jose in the city of Pleasanton is where you will find Shadow Cliffs Lake and its surrounding Shadow Cliffs Regional Recreation Area. The lake was once a gravel quarry, but today it’s a lovely lake complete with sandy swimming beaches. In additional to swimming, it’s also possible to go fishing, as the lake is stocked weekly with trout and catfish. Boating is also permitted, although only electric motors are allowed. Visitors that would rather enjoy the lake from land can go picnicking, or hiking, biking or horseback riding along one of the recreation area’s multi-use trails. Shadow Cliffs Lake is also a haven for birdwatchers, with numerous water birds often being seen in the more secluded areas of the lake.